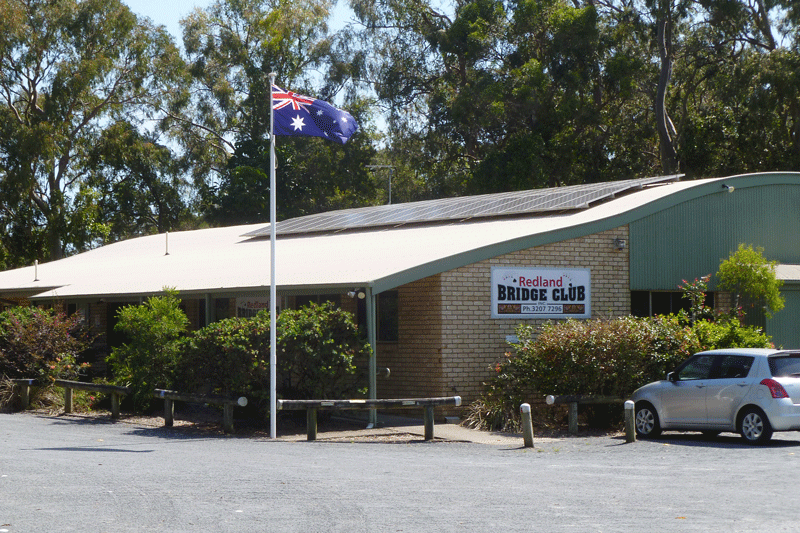 It’s the little jewel of wisdom offered by Redland Bridge Club secretary Doug Sands when reflecting on the club’s journey – and the focus on enjoying bridge has seen the club flourish despite some tumultuous early years. “The Club was born in 1982 and known as the Cleveland Bridge Club, playing on Wednesday evenings at the CWA rooms in Cleveland and later at the RSL,” Doug says. Doug explains that while the club had 10 – 15 members, finding a place to call home was a recurring problem. “Having been forced to leave the (CWA rooms and the RSL), the club moved to various church halls in the Victoria Point area,” he said. The club was later able to use a room at The Donald Simpson Community Centre which had just been established in Cleveland. 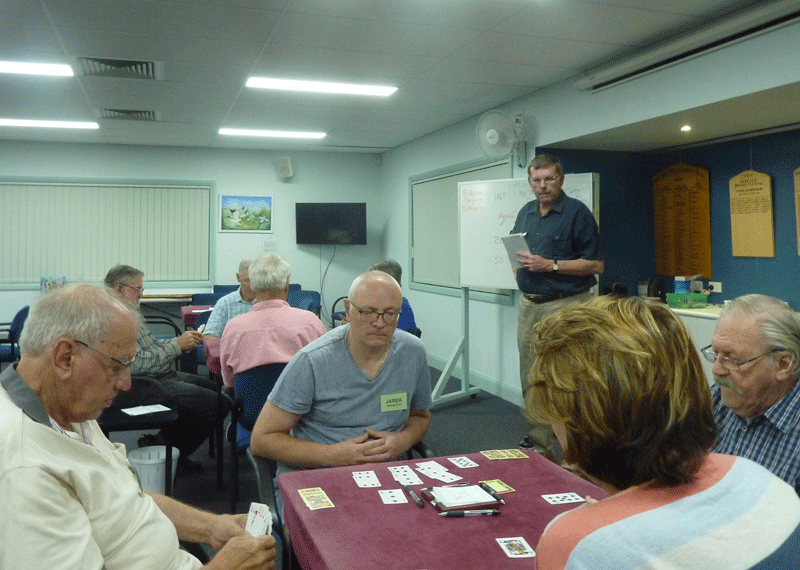 “In 1992 with a membership of 30, the club became incorporated and became known as Redland Contract Bridge Club, but as membership grew space became a problem. “But by the year 2000 the membership had grown to about 160, again causing a space problem. The clubhouse is now fully owned by the Redland Bridge Club though the land is under a 20-year lease. Finally securing a base has allowed the committee and members to work together to improve the club facilities in recent years. 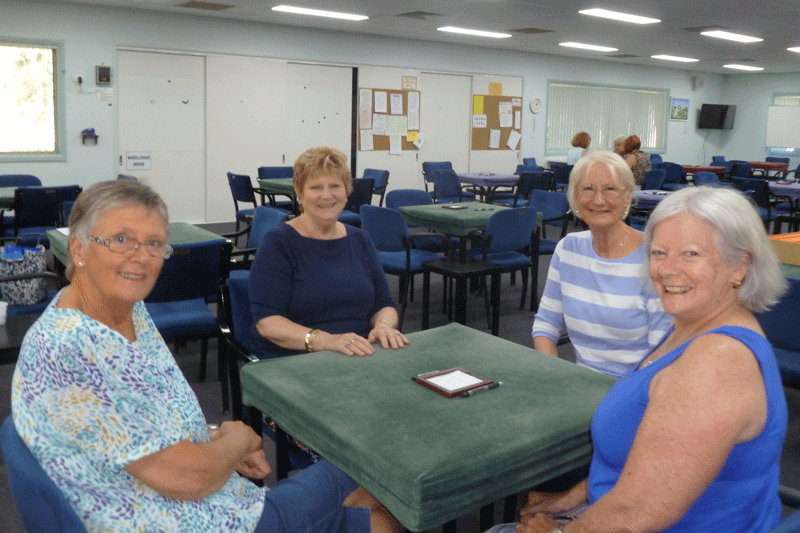 “To name but a few achievements, we have upgraded our air-conditioners, installed wall fans, recovered the chairs, laid new carpet and are currently installing new LED lights,” Doug says. “We have had some members learn first aid training and are in the process of buying a defibrillator. 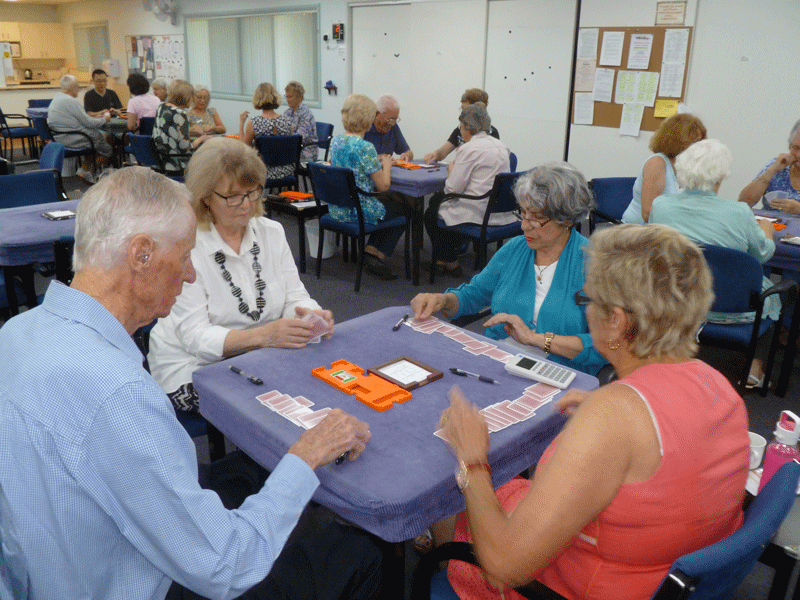 These new facilities and social events are enjoyed by almost 300 members at the bridge sessions that are held six days per week, one evening per week and the first Sunday of each month. “We have a good retention rate for new players and I think this is because we offer good support,” Doug says. The club’s regular sessions are supported by a strong education program, with lessons for players of different levels. ABF Accredited Teacher Deirdre Giles normally runs the beginner classes, while Andy Hung and Ron Klinger have presented intermediate lessons on various topics in recent years. A new challenge for the club is securing Directors for each session. “As older members retire from directing, we obviously need more members to take up this challenge,” Doug says.